You and the ones you love are at the very center of the process, and the choices you make will determine its significance for you. 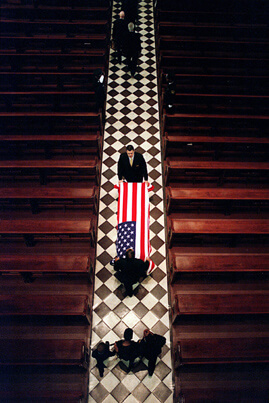 As you participate in the planning of the funeral service, you help create a meaningful experience for everyone. It is the goal of Jerry Taylor and the staff of Taylor Funeral Home to help people complete the relationship with the one who has died and to provide a climate that encourages each person to give and receive emotional support. During the funeral service, family and friends have the opportunity to relate to each other at the deepest levels and find mutual strength. The Graveside Service can be another selection. Many times this would follow a time of visitation at the funeral home. The casketed remains would then be transferred to the cemetery where a graveside ceremony could take place followed by the burial. At Taylor Funeral Home, we encourage families to create very personalized services. It is important to acknowledge that a life that has been lived and to offer to the community a way in which to celebrate that life. By offering services and memorialization features that are personal and special, a unique life can be remembered and honored in an individualized way that is comforting to the family and friends. Notifying any fraternal orders or other organizations who might have a part in the service. 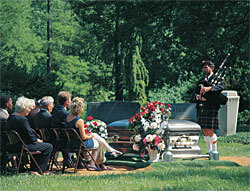 Supervision and direction of the funeral or memorial service - church, funeral home, graveside, or other location. If you need more information about our Professional Services, please contact us by phone in Louisville at 478-625-7761, in Gibson at 478-625-7761 and in Waynesboro at 706-551-5100 any time of day or night or feel free to stop by the funeral home, ask questions, and get acquainted. We're here to help.